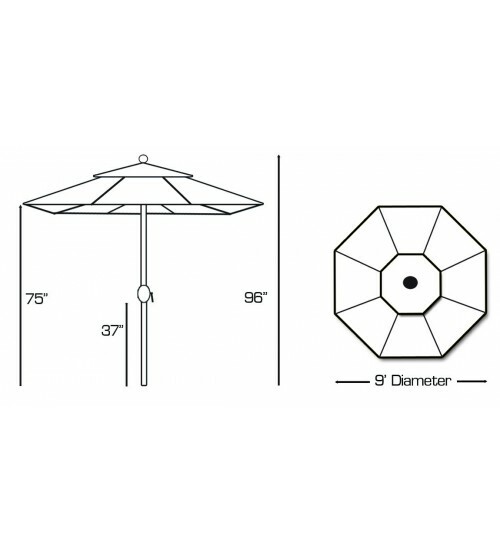 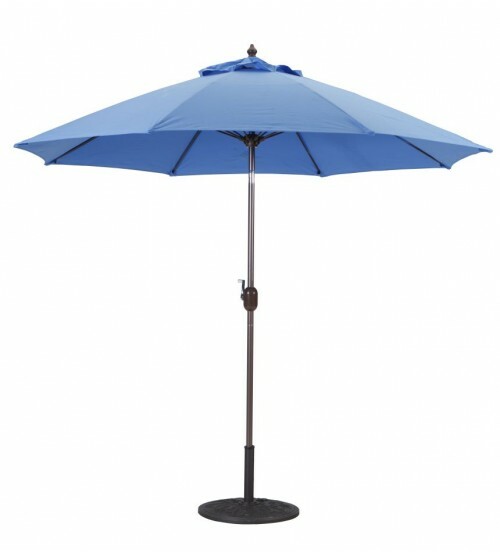 Galtech's 9' round market umbrella comes with fiberglass ribs that will flex and bend on breezy days. 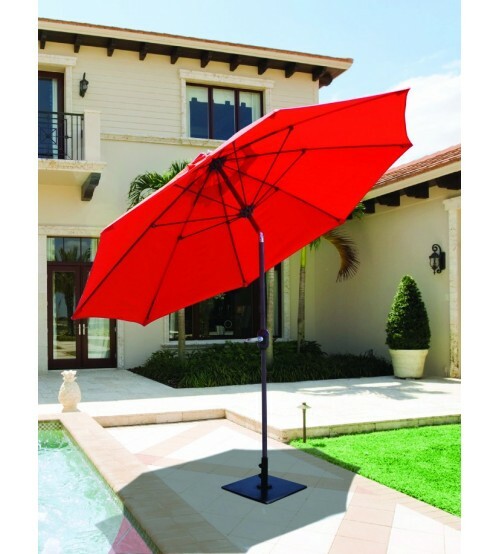 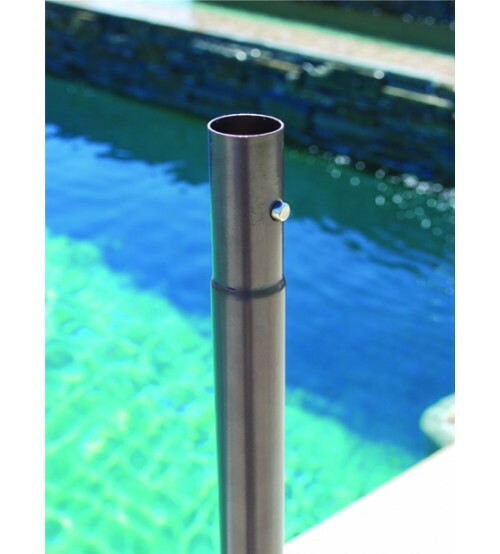 This umbrella is ideal for residential applications. 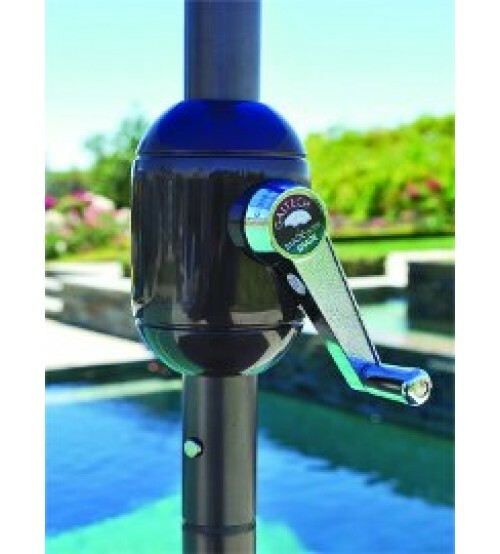 Equipped with 3-position push button Dura-tilt.